If you’re paying off debt, an extra $100 can go a long way. However, if you’re already living paycheck to paycheck, finding an extra $100 can seem nearly impossible. Finding an extra $100 this month may be easier than you think, though, no matter what your income. We’re sharing 5 ways to pay off an extra $100 of debt this month. And many of the tips we’re sharing could help you may off much more than $100. So, whether you’re looking for an extra $100 or an extra $1,000 to help while paying off debt, you’re in the right place. Almost everyone has a closet or drawer, or possibly an entire garage full, of unused stuff. And with the internet, there’s never been an easier time to sell that stuff for a lot of money. You don’t even have to wait for warmer weather to host a yard sale. With sites like craigslist and eBay, you can sell your stuff at any time of the year. You may be shocked by just how much extra money is lying around your house in unused stuff. Between your closets, drawers, spare rooms, and the garage/attic, there’s probably dozens (or hundreds) or things you don’t use or need anymore. 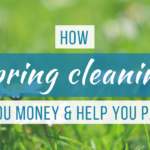 Whether you’re decluttering after the holidays or doing some much needed spring cleaning, anytime is a good time to get rid of things you no longer need, especially when you’re looking for extra cash to pay off debt fast. If you’re not sure where to get started, check out our list of 19 Things You Can Sell to Get Out of Payday Loan Debt. The majority of people are overspending on groceries, by a lot, and with a little extra planning, could cut their monthly grocery bill in half. Reducing your grocery bill by even $100 is an easy way to put extra money towards paying off debt. We all know how going into the grocery store without a list turns out. It never ends up well for your bank account. Impulse buying is one of the most common ways we overspend on groceries. Between impulse purchases and shopping without a plan, it’s easy to spend 2 or 3 times the amount you should be spending on groceries. And the more money you spend on groceries every month, the less money you have leftover for paying off debt. According to this article by Living Well, Spending Less, you can drastically reduce your grocery bill by shopping the sales, eating less meat, changing the way you meal plan, and using coupons the smart way. Check out the article for more details. Another article suggests that you can save even more by changing where you shop and buying store brands. Regardless of where you start, though, start planning ahead. Planning out your meals, alone, can save a ton of money. A side hustle is a part-time job that allows you to make additional money outside of your full-time position. It’s something you can easily do on the side for extra cash, like babysitting, lawn care, or house-cleaning. Thanks to the internet, there are hundreds of options online, as well, like freelance graphic design, copywriting, and more. Regardless of what you do, a side-hustle is an easy way to make at least an extra $100 this month. Since it’s up to you how much extra work you do on the side, the income potential is really limitless. If you enjoy what you’re doing, or just like the extra cash, a side hustle can turn into a consistent source of income. And when you’re trying to pay off debt fast, any extra income is a great thing. If you’re not already using a budget, start today. Without a budget, overspending happens without even noticing it. And overspending almost always leads to financial stress and troubles. First, though, let’s dismiss this common belief; a budget doesn’t restrict your spending. Instead, a budget allows you to spend without stress. So, yes, a budget is a good thing, whether you’re trying to get out of debt or not. When you’re trying to pay off debt, the simple task of using a budget can help you easily find an extra $100 of income, if not more. Chances are, you already have an extra $100 in income every month, but right now, you’re spending it on non-necessities without even noticing. Using a budget will help you get your finances on track and find extra money every month to pay off your debt faster. Creating a budget is easy and using it is even easier. To get started check out our list of the best online budgeting tools to help you get out of debt. Trust us, living without cable is easier than you think. And with the average cable bill at around $100, it’s an easy way to pay off an extra $100 in debt right away. 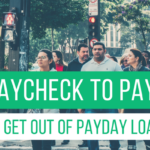 If you decide to cancel cable for good, or at least until you’ve paid off your payday loan debt, you’ll now have an extra $100 to put towards your debt every single month. That’s over $1,000 a year! Getting rid of cable doesn’t have to mean missing all of your favorite shows, though. There are a ton of cheaper alternatives, like Netflix and Hulu, that will give you access to great shows and movies for less than $10/month. Check out this article from Money to find out how you can watch all the TV you want without paying a cable bill. Getting out of debt takes work and time, but finding extra money each month to throw at your debt can help you get out of debt faster. If you’re dealing with payday loan debt, loan consolidation can also help make the process easier and less stressful. Our team specializes in using payday loan consolidation to help you get out of debt faster and with less stress. If interested, call our team today or submit an application for a free consultation.